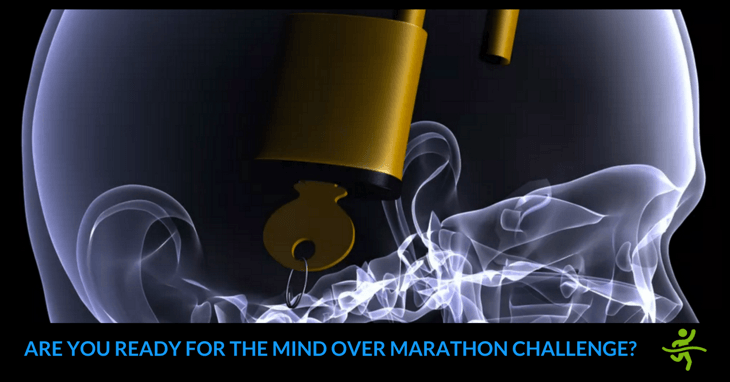 Are You Ready For The Mind Over Marathon Challenge? Win your mind over marathon challenge by defusing 5 of the biggest mental booby traps. These proven mental strategies will get you through the bad patches in your marathon build up, so you can achieve the success you deserve! ​How can I be so sure they will work? Well, they’re all ways of challenging common cognitive distortions. ​So here’s how to defuse the 5 biggest mental booby traps you face during your marathon campaign. While thinking in absolutes may provide focus, you should also have contingency plans to fall back on if things go wrong. Otherwise, you face the slippery slope that can lead to overtraining, serious injury or burnout. A typical situation is choosing just one extremely ambitious marathon goal that you insist you must attain in order to be successful. The risk increases when the target time is heavily influenced by emotional drives such as competitive rivalry or reliving past glories. Don’t set yourself a dream marathon time that becomes a training nightmare! This is a biggie because EVERY marathon campaign will have its ups and downs so keeping things in perspective is a vital skill. A common concern my clients flag every week is having a ‘bad’ session. Unfortunately, this can quickly get blown up in their minds as an unmitigated disaster! ​Just remember… Marathon success comes from many tiny gains in fitness, not just a few strong performances. ​And, if you need further convincing, bear in mind your fitness temporarily drops following each key workout, so that your body can adapt to the training stress it’s been put under. There are the toughies you need to just battle through. This indicates you have both the physical strength and mental resilience for marathon success. There are cruise control days, where the emphasis should be more on recovery than outpacing your fellow runners! While similar to ballooning, the emphasis here is more on a bleak future than a disastrous present! Classic catastrophising is picking up a minor niggling injury early on in your campaign and assuming it spells the end of your marathon PB/PR chances, or even reaching the start line! Challenge this thinking error by remembering you’re training for a marathon, not an egg and spoon race! Aches and pains are inevitable and, unfortunately, minor niggling injuries will happen, particularly as we get older. In fact, some studies have reported injury rates up to 90% for marathon training runners. It’s more helpful to think how fortunate you were to be able to put mitigating measures in place, such as additional recovery, foam roller exercises etc. before the ‘lights changed from amber to red’. This in my experience is one of the most ‘popular’ traps runners fall into while seeking perfection in their performances. So, imagine doing a half marathon practice race (highly recommended), where you nail the race logistics, get your fuelling and hydration spot on, and run even-paced splits. Well, actually, no, because you’re at pains to point out that you were someway short of your half marathon PB/PR time. This is when you need to get a firm grip on things and recall what the objectives of the race were… This is not the time for unhelpful goal creep. If your aims were indeed to dress-rehearse race day conditions and practice even-paced running, then pat yourself on the back for a good job done. If the goal is to run all out for a half marathon PB/PR, then don’t cloud your focus by adding on all that marathon race logistics stuff… Keep things simple. Have in mind a clear primary goal, so that any other positive outcomes are welcome bonuses, not mandatory conditions! 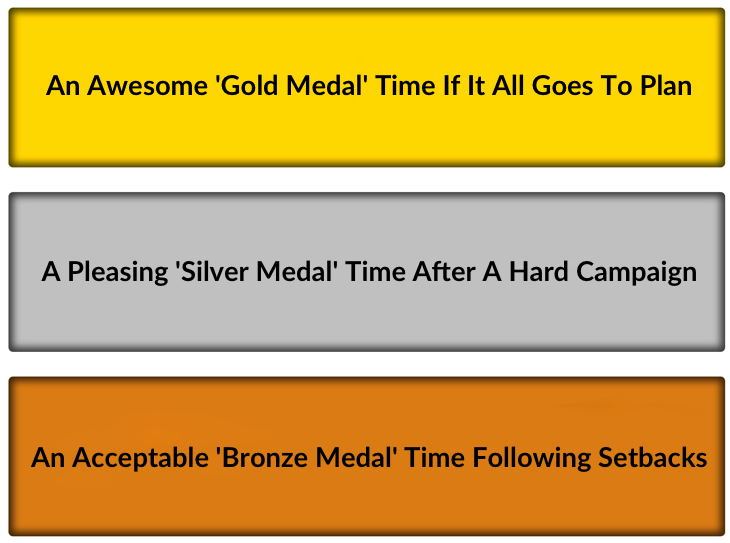 Picture the scene… You’ve just completed an exhilarating 1 hour 45 minutes off-road run early on in your marathon campaign. You understandably feel very tired and weary. And yet, you reason you’re not fit enough to achieve your marathon goal. You’re irrationally using your negative emotions in response to a hard, yet satisfying workout as evidence you’ll perform badly in the marathon itself… Yes, that event 15 long weeks away, that you haven’t even started specific training for! You’re forgetting (or discounting) that the primary purpose of your carefully crafted marathon plan is to break your body down again and again in controlled ways, so that it rebuilds itself stronger each time. And ultimately you reach peak fitness when it matters most… on marathon day. So, we’ve uncovered five ways you can overcome negative thinking and boost your marathon motivation. Yet we’re only at the half way point! We’ll crack on and challenge some more limiting beliefs in the next episode! Please leave any comments below on your own mind over marathon experiences.